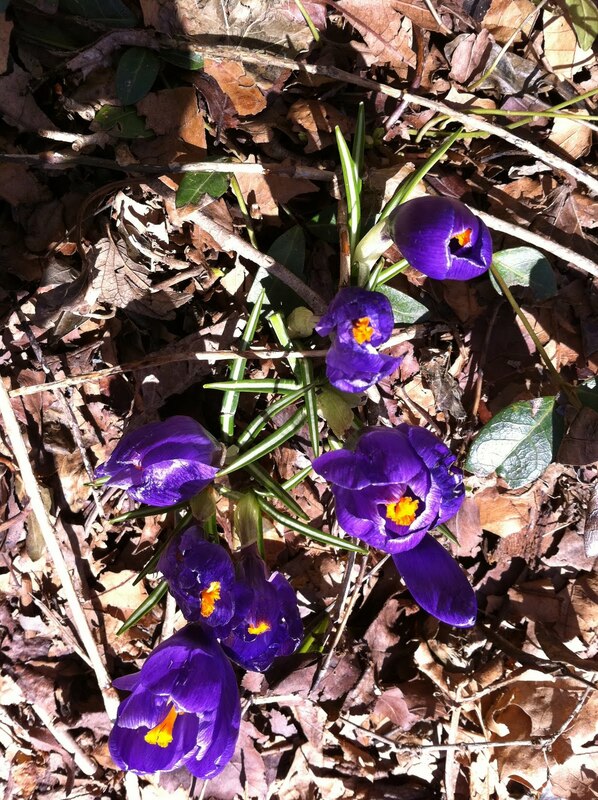 One advantage to being an earthquake refugee in Chicago is the crocuses. From that point of view, we could not have better timed our stay. Though temperatures have been hovering around freezing for the last few days, the crocuses are undeterred. When Pippi and I explore the neighborhood we find the little purple, yellow and white blossoms poking out of gardens everywhere. Their colorful faces remind me of the time my mother bought me a crocus of my very own. My mother, who until very recently had a very green thumb, used to have a glass and wood shelf affixed to the wall directly below the arched windows in the room that was at that time my parents' bedroom (now an upstairs sitting room where we often congregate). This shelf was laden with potted plants that my mother tended lovingly every morning. I would often lend a hand. One day, when I was three years old, my mother decided that I ought to have a plant of my own. So we went to the plant store on 55th Street. It was conveniently located next to Wolf's toy store which had a marvelous penny candy counter in addition to a full array of goods by Mattel, Hasbro and other lesser known toy makers. But on this day we were focused on getting me a crocus. I remember the plant store had that jungly smell and the air was quite moist. The refrigerated cases were well lit yet the shop interior was a little dark and mysterious. It must have been just about this time of year, when crocuses were beginning to bloom. Though I knew from the start that I wanted purple flowers, I had to inspect all of the potted offerings. Finally, my decision made, we purchased a crocus plant and headed home. How proud I was of my round terra cotta pot with its little green sprigs. For the next couple months (weeks?) I nurtured my little plant each morning, right alongside my mother, making sure it had enough to drink. I was always tempted to over water but my mother gently encouraged restraint. And in due course, the plant flowered on cue. How I loved those purple blooms! But one day, as crocuses are wont to do, my beloved bloom shriveled up. Oh the tragedy of it all! Oh the tears! Oh the sadness! I was quite inconsolable. My mother tried to comfort me and assured me that I could get a new plant next year but I never did. 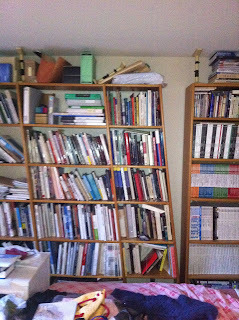 This photo of the bookshelf in my study was taken on March 11, 2011 at about 5 p.m., just hours after the Great Eastern Japan Earthquake (aka EQ11 according to David) rocked our world. As you can see, the wood frame is leaning to the left and some of the books are askew. 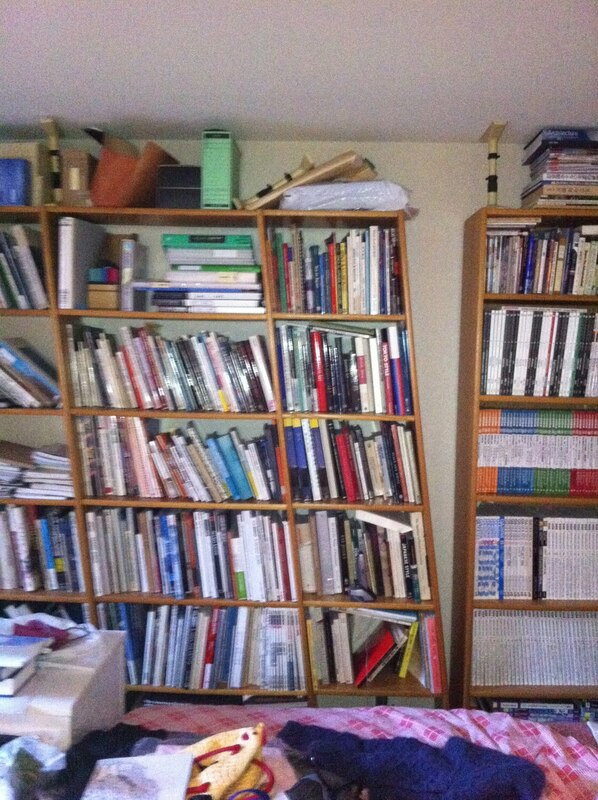 On the top shelf you will see one failed earthquake brace and one on the brink of collapse. This image is an apt metaphor for our current condition: slightly out of kilter but not in any real danger. 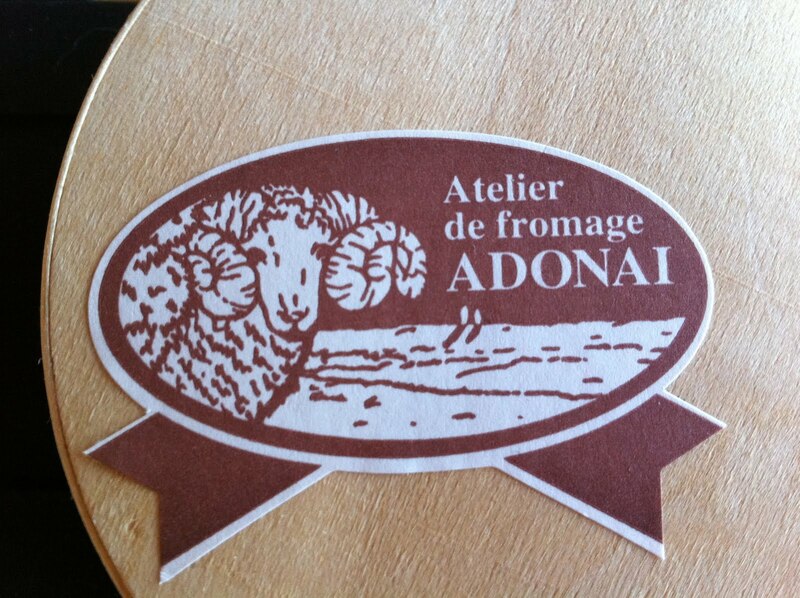 We are now in Chicago where we maintain an apartment and feel at home. Sort of. The girls and I flew to O'Hare last week Tuesday. David and Pippi joined us the next day. Pippi was not too happy about being cooped up in a crate for the 11 hour flight but bounced back quickly upon her release. Francia is at home in the Philippines. Looking out the window at the grey, rainy/snowy day, it is hard to imagine that sakura (cherry blossom) season is right around the corner. But within three weeks or so they should be in full bloom. Predictions for their peak dates (they vary in accordance with location) are probably already in the media someplace. Like everyone else, I await their arrival eagerly and hope that I will not miss them entirely while on spring break back in chilly North America. 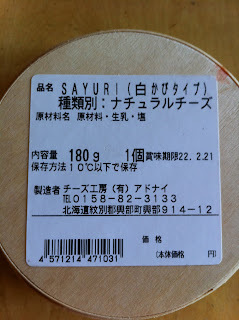 In anticipation, I had sakura soba for the first time the other day while out for lunch with a dear friend. Truth be told, I had never seen these unusual noodles before. When they appeared as a special offering at that rather good sobayasan atop the department store Mitsukoshi Ginza, I could not resist. 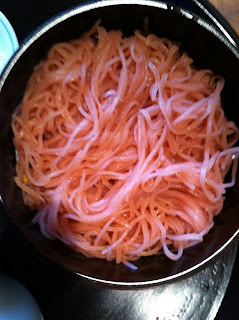 Though the same thickness and texture as garden variety buckwheat noodles, they were pink! Yes, pink! 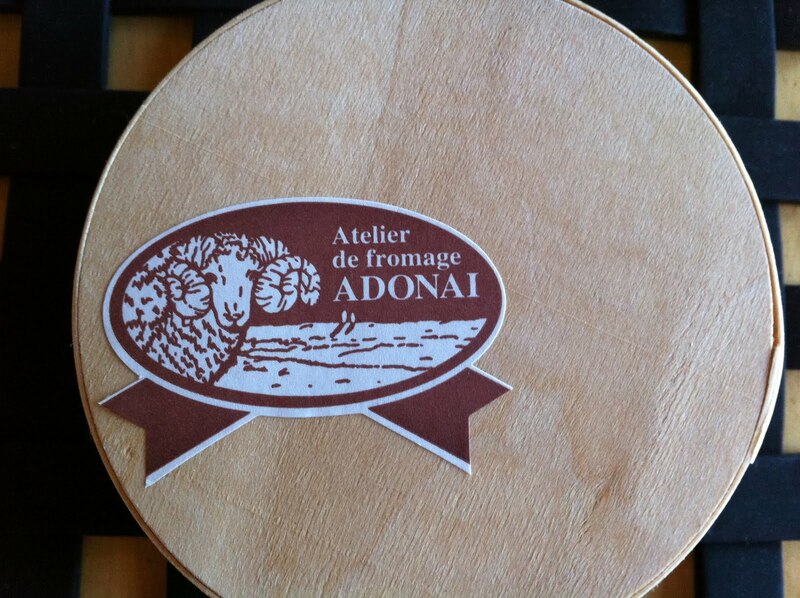 The taste was essentially unchanged. But my nose did detect an essence of cherry blossom as I daintily slurped the tsuyu soaked strands. 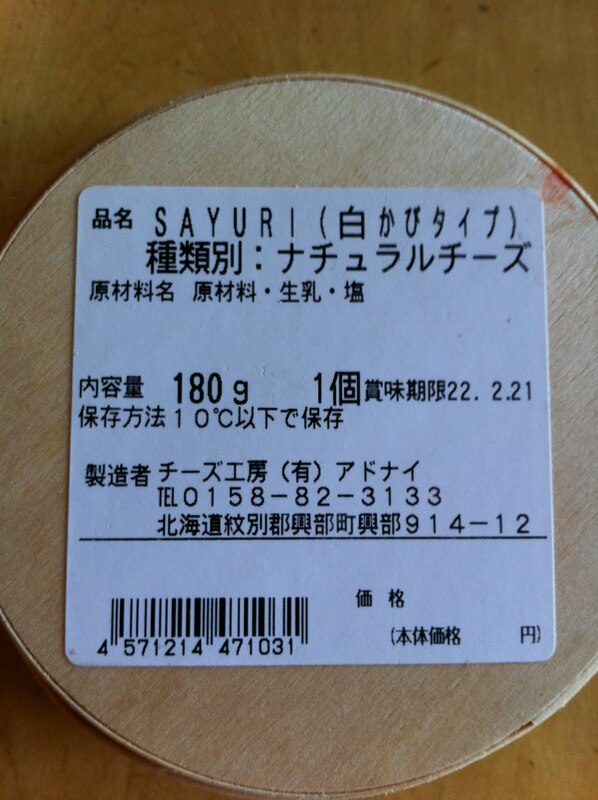 An all natural product, the pink color may be attributed to the flower petals added to the basic buckwheat flour mix.